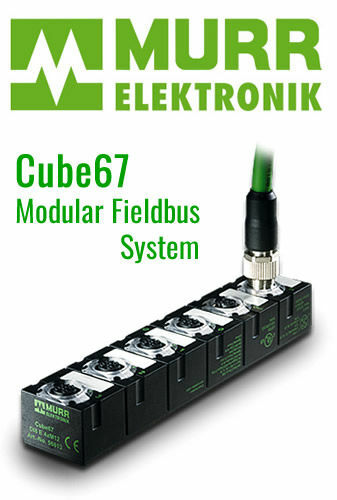 Cube67 is Murrelektronik’s award winning, modular fieldbus system. It can be customized to meet the specific requirements of an installation solution. Cube67 is characterized by its single cable technology, multi function modules, flexible installation methods and robust, potted circuitry. The unique single cable module connection transfers both power and data from a single bus node to connected modules simplifying installation. JF Shaw Company, Inc. works with vast varitey of best-in-class automation products that are designed to perfectly match all of your requirements – and are enhanced by extensive training, service and support. the powerful tools of the VISOR® Code Reader (bar code, datamatrix and optical character recognition). Safe Link is a technology in the Gateways with integrated Safety Monitors and the Safety Basic Monitors with Ethernet interface. It allows safety controllers to be connected to each other simply, efficiently and with the greatest possible flexibility. Learn more about it in the following articles. SmartMONITOR is the smart MDE alternative for industrial companies looking for a way to quickly and easily gather reliable data to optimise manufacturing processes. Intelligent networking of signal towers creates a simple, low-cost retrofit alternative to conventional, complex MDE systems.